Christmas Concert 2015 Project Giving Tree! Bring your donations of canned and nonperishable foods before or after Sunday Masses on November 21/22 and again before or after the 10 a.m. Thanksgiving Day Mass, November 26. Drop off donations at the front of the church, near the St. Joseph altar (Queens Blvd. church entrance). 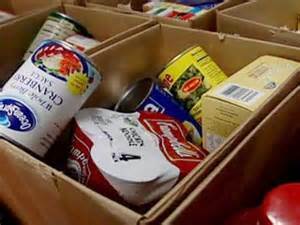 Canned goods and nonperishable items in all food groups, such as cereals and grains (rice, pasta); canned tuna and salmon; powered milk; canned vegetables and canned or dried fruits. Foods cannot be expired. Where will food be distributed? All donations will go to food pantries run by neighboring churches in our deanery here in Queens. Many families and individuals in need in our community during this special time of year will be grateful.